Major Surplus Fish Net 5 ft x 10 ft | BUDK.com - Knives & Swords At The Lowest Prices! 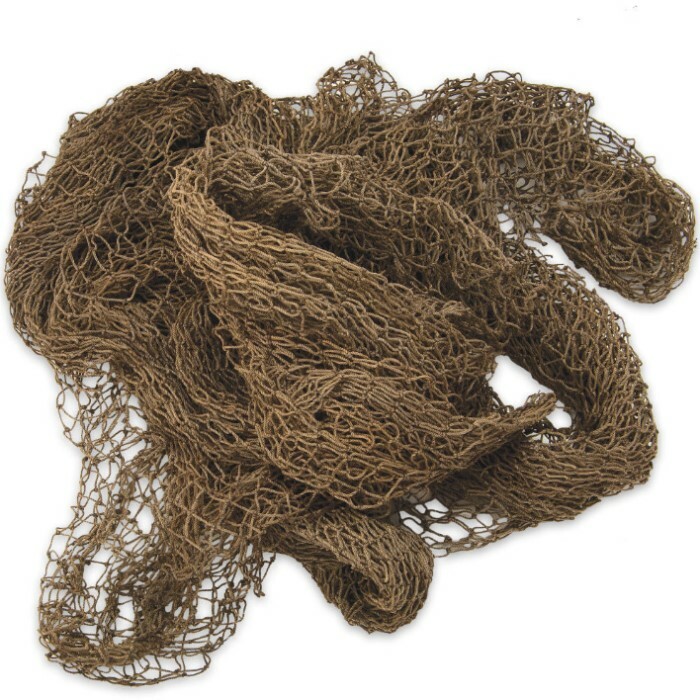 This U.S. military fish net is made of super strength twisted cotton and nylon twine woven and knotted into 3/4" open squares. It can be cut to your own sizing needs and it won&apos;t unravel. You can tie several together for oversized netting. This netting is soft yet super durable. Used but in excellent condition. Weighs 1.5 lbs. 5&apos; x 10&apos; ov. GREAT for making a gillie suit and will last a long time as a gillie or as just as fish netting (recommend making your own gillie a whole lot better than a store bought because its infinitely adaptable and you can change it depending on your season).